For me, tea is one thing. A mug of Scottish Blend with a splash of milk. The furthest I had ventured into the world of tea is having a cup of Twinning's peppermint tea. Exotic, I know. Don't get me wrong, I knew that there was a lot going on in the world of tea but I didn't quite realise how much. I decided that it was about time that I learned a bit more about tea and I really wanted to see what the big fuss was about. So we went to T2 in Glasgow where they very kindly offered to give us what I thought would be a little explanation about some of their tea. But no, it was so much more than that, it was an absolute masterclass and a completely enlightening experience. I had no idea how developed the tea industry was. 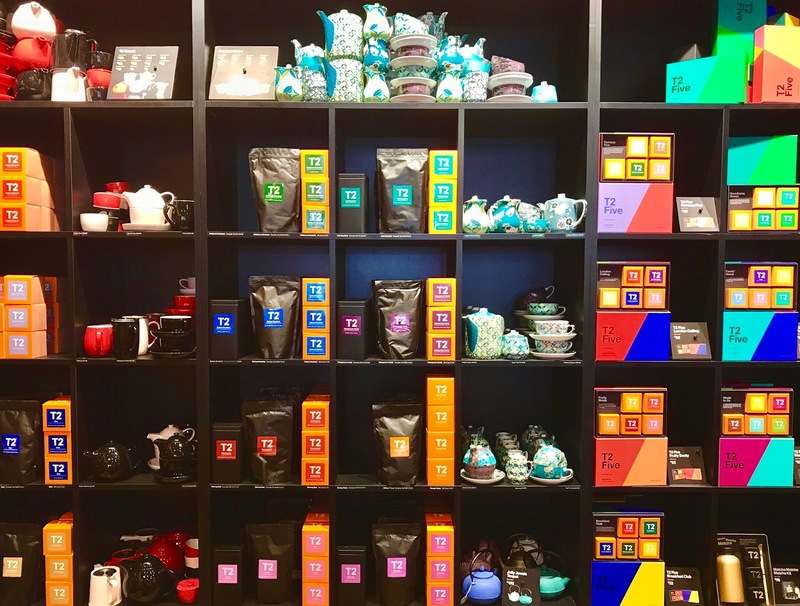 T2 started in Australia when one woman saw that there was so much popularity with coffee and none with tea so she decided to change that and make tea happen in a really cool and modern way. She wanted to enlighten people that coffee wasn't the only option and that there was 'tea too'... hence T2. 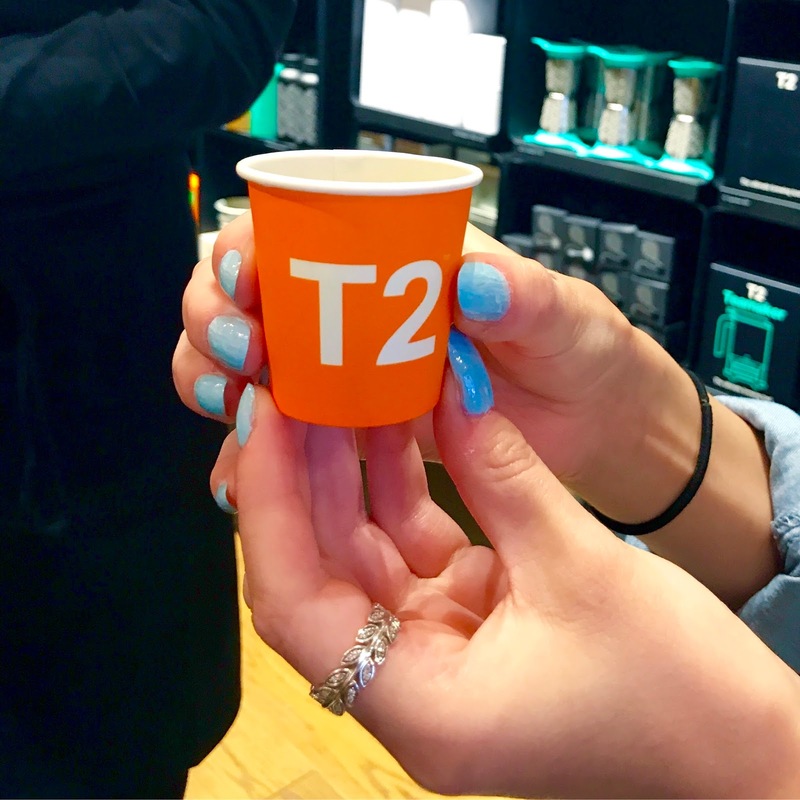 So T2's main stock is loose leaf teas which basically means the tea doesn't come in a tea bag. 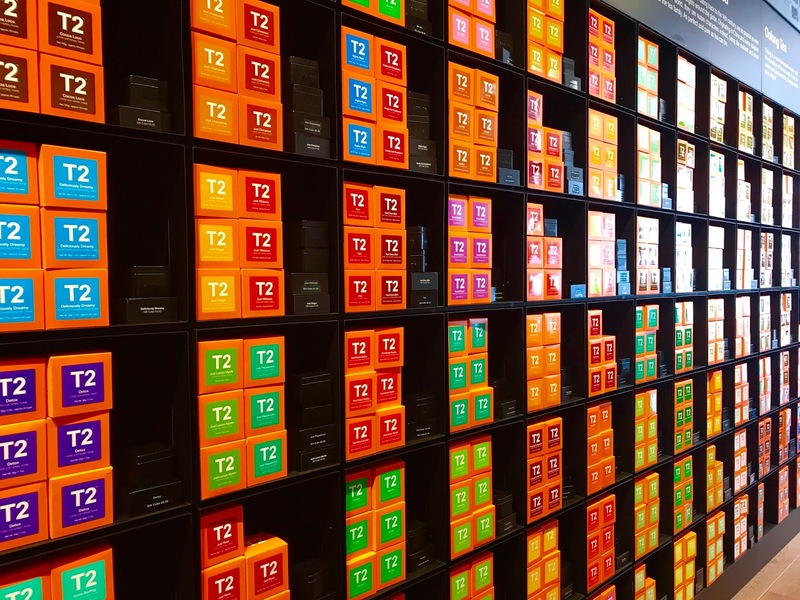 The selection of teas is HUGE, theres literally hundreds and they are always bringing out new and seasonal limited edition teas as well. They also sell some beautiful tea-wares, really cool and practical tea making tools as well as beautiful and traditional tea sets. For our tea journey, we were taken to the land of Matcha. A powdered green tea which comes in different flavours such as vanilla and turmeric and can be made into numerous types of drinks (including cocktails woo). Knowing that you can make this delicious tea with things like sparkling water for a summery punch, alcohol for a delicious cocktail or milk for a warming tea-latte really opened my eyes. You can even use them for making food! Have a look at these recipes, you won't believe how versatile this tea can be. It was so delicious and it had such a strong punch to it, you really didn't need a lot to get a taste of the bold flavour. After smelling about 3759502 teas, I decided to take home with me some Go Go Goa loose leaf tea, it smelled so good I just wanted to eat it. To my surprise, when I made my first cup it actually tasted the exact same way that it smelled. It wasn't watery at all like you can get with some flavoured teas. This tea is so nice to have for a change in the morning instead of Scottish Blend or to have when I am winding down before bed. There is nothing ponsey about it, I have it in a builders mug, with a splash of milk as suggested and it is a perfect cup of tea. It's something a bit different and really enjoyable, I'm not saying I'm going to fill my cupboards with a hundred different teas but I'm definitely more open to flavoured teas since visiting T2 and will be replenishing my Goa tea for sure.